The UT Health Coordinating Center for Clinical Trials (CCCT) has an established history of advancing science through coordinating clinical trials. The mission of the CCCT is to improve a broad-spectrum of public health interests through the coordination of clinical trials, collaboration with clinical investigators, and development of statistical and trial methodology. The CCCT is at the forefront of clinical trial research and management and will continue to have a broad public health impact well into the future. The CCCT is composed of ten faculty and thirteen staff from the Department of Biostatistics and Data Science and the Department of Epidemiology, Human Genetics and Environmental Sciences with expertise across several research areas including biostatistics, epidemiology, clinical trials, data management, trial design, data science, computer science, bioinformatics, and genomics. Clinical trials are undergoing a revolution in the era of big data. Here at the CCCT, we have the capacity to undergo multifaceted clinical trials using complex and high-dimensional data. For example, we can incorporate wearable devices and electronic medical records into a clinical trial where appropriate. This allows for efficient clinical trials that are less expensive to design and have the opportunity to leverage data that can be automatically collected or is already being collected as part of patient standard of care. The CCCT has over a 45-year history of successfully coordinating large multicenter clinical trials and providing comprehensive services for these trials. Although our primary goal is to design large multi-center clinical trials, we also work on smaller single-site trials. Regardless of trial size and complexity, we provide high quality study design, monitoring, management, reporting, and interpretation of study findings. Select sites so as to maximize patient safety, ensure high quality patient care, reflect the current practices of experienced medical practitioners, and provide a consistent clinical environment. The CCCT is experienced at recruiting and selecting contract clinical investigators and clinical centers qualified to enroll, treat, and follow a defined study population sample as well as adhere to a study protocol. Work with sponsors, core laboratories, and the steering committees to develop study protocols, case report forms, and detailed manuals of operations. Provide training on recruiting, enrollment and randomization; clinical and laboratory procedures; and Web based data collection, entry, and transmission. Implement and ensure a high quality, standardized, data gathering and trial management system for collecting all study data, monitoring study progress, providing feedback to participating components, and assessing study outcomes. The CCCT employs secure web-based data entry systems that include all data collection forms and allows study investigators to access their respective clinical site performance metrics. Maintain quality control and monitor the performance status of the clinical centers, core laboratories, and other central units. This includes availability of performance and quality control reports on a secure website. Monitor patient recruitment by providing weekly reports to the clinical sites, sponsors, core laboratories, reading centers, and study product manufacturer or distributor during the recruitment phases. Additionally, maintain updated reports on a secure web site accessible to all units of the study. Serve as a central resource to retain high recruitment and participation rates by providing recruitment aids (video, posters, cards, etc. ), participant and clinic newsletters, and study-wide suggestions. Manage newsletters and other study training, recruitment, and adherence aids on study websites where they are accessible to appropriate study components. Provide for the timely monitoring of adverse effects and trial events to ensure patient safety; including the notification and reports provided to the sponsor(s), Data Safety and Monitoring Board, clinical investigators, and other appropriate agencies according to regulatory requirements. Ascertain and validate the cause of participant deaths and hospitalizations. Development of on-site or remote monitoring plan to ensure appropriate regulation of informed consent process, data integrity, device/product accountability, and regulatory documentation. Provide instruction on ethical treatment of human subjects and scientific integrity. The CCCT faculty and staff have in-depth knowledge and understanding of scientific issues related to the trial rationale and design including: the importance of the research question, knowledge of disease areas, and understanding of trial design and state-of-the-art analysis methods. The CCCT provides biostatistical expertise with best-practice methods for the analysis of clinical trial data. Novel statistical methods have also been developed to deal with more complex data when standard methods cannot be used. Our team has the ability to take appropriate leadership in preparation of scientific reports and manuscripts and publication and presentation of study findings and results. The Department of Biostatistics and Data Science has specific expertise in the development of prognostic and prediction models/algorithms using machine learning. Data scientists in our department can implement computationally intensive programs using efficient algorithms into trials. Develop and execute plans for dissemination of trial results to professional groups, medical schools, the medical community, and the public. Target leaders in appropriate specialty practices and develop guidelines. Analyze data and assist in preparing papers and presentations as needed for study publications and presentations at scientific and professional society meetings. The Investigators and staff of the CCCT have the personnel and technical expertise to design, organize, and successfully execute clinical trials from Phase I proof of concept trials to large-scale multicenter randomized controlled clinical trials. Our approach combines administrative support, with project management, data programming, and statistical expertise from seasoned personnel to provide leadership and collaboration for the operation of a first-class coordinating center. The CCCT project management team has more than 100 years of experience in research and trial management. The team is skilled in the methods used to coordinate and manage a complex randomized clinical trial consisting of multiple clinics and or networks, core laboratories, reading centers, and drug distribution centers. These methods include those related to organizing and monitoring recruitment and follow-up of study patients from multiple clinical sites and networks. Additionally, this team has a strong appreciation for the importance, level, and timing of communication to successfully engage study personnel in a variety of activities needed for trial completion. The CCCT programming team is highly skilled in designing and developing web-based applications for data collection and randomization, and in executing plans for central data acquisition, harmonization, management, and analysis, including patient randomization and quality control measures. The programming team uses Microsoft .Net system development technologies to develop websites, applications, and reporting services. Clustered Microsoft SQL Server database instances are used by the team to provide large-scale data storage and retrieval services. The team uses STATA, SAS and SQL Server-integrated ‘R’ servers to provide data analysis services. To support these activities, The UTHealth School of Public Health (SPH) maintains its own raised floor data center and has access to two additional UTHealth data centers for additional capabilities and services. The SPH data center provides 10 gigabit network access speeds to the internet backbone, which is among the highest levels of network connectivity available to enterprise organizations. Advanced network monitoring technologies from Cisco Systems are employed to support SPH data center operations with diagnostic and corrective tools to monitor and maintain the network. 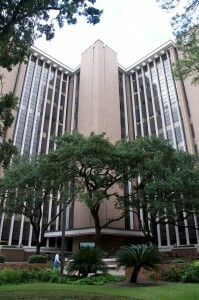 The SPH is interconnected to other UTHealth data centers through distinct redundant-path fiber optic cabling to provide maximum uptime and reliability to the network. This facility provides research, academic, and administrative computing resources, with servers utilizing Windows and Linux operating systems. Systems and data are protected by redundant servers and storage arrays, encrypted cloud-based backups, and a multi-layer firewall. The ability to deploy public servers and provide the highest level of protection to corresponding project data is considered priority one both at UTSPH and the CCCT, which work in together in securing and proactively monitoring these systems. The CCTRN is a cooperative clinical network consisting of seven clinical centers in the United States dedicated to studying stem cell therapy for the treatment of cardiovascular and peripheral arterial disease. The Network includes expert researchers with experience in cardiovascular and peripheral vascular care at seven stem cell centers in the United States. CCTRN is currently planning and conducting multicenter study phase II clinical trials. Sponsored by the National Heart, Lung and Blood Institute (NHLBI; -Cooperative Agreement-2UM1HL087318-06); 2012-2019 ($63,000,000). A randomized controlled clinical trial to compare standard therapy (erythrocyte transfusions) with alternative therapy (hydroxyurea) for the maintenance of lowered TCD velocities in 118 pediatric subjects with sickle cell anemia and abnormal pre-treatment TCD velocities in 26 centers. Sponsored by the National Heart, Lung and Blood Institute (NHLBI); 2010-2014 ($3,377,396). A clinical trial to compare basal insulin plus the addition of the GLP-1 analogue, exenatide, with basal insulin plus the addition of prandial insulin (insulin glulisine) on glycemic variability in 130 diabetic patients in 12 centers; Sponsored by Sanofi-Aventis; 2011-2013 ($822,527). Low minority participation in clinical trials limits our ability to assess and address potential differences in therapeutic responses. To address the problem of low minority recruitment we are testing a recruitment intervention (RECRUIT) to increase racial/ethnic diversity in clinical trials. Our specific approach is directed toward multisite trials conducted at specialty clinics in academic centers. The intervention will focus on approximately 60 specialty clinics. Clinical sites will be randomized to the intervention or control group. The target of the intervention will be the site principal investigators and trial coordinators. Sponsored by the National Institute on Minority Health and Health disparities (NIMHD); 2011-2016. PROPPR is a multicenter, prospective, randomized trial which will compare different ratios of blood products given to trauma patients who are predicted to require massive transfusions (greater than 10 units of PRBCs within the first 24 hours). This trial is sponsored by the Department of Defense and the National Heart Lung and Blood Institute. The Resuscitation Outcomes Consortium (ROC), led by Gerald Van Belle, PhD, MA, will work to provide coordination and oversight. PROPPR is a multicenter, prospective, randomized trial which will compare different ratios of blood products given to trauma patients who are predicted to require massive transfusions (greater than 10 units of PRBCs within the first 24 hours). The patients who have been predicted to require a massive transfusion will receive blood products based on a 1:1:1, 1:1:2 ratios. A total of 580 patients will be enrolled into this study from 12 participating site in the United States and Canada. In addition to evaluating the patient outcomes based on ratio of products, extensive lab analysis will be done to evaluate the influence of fluid resuscitation on traumatic induced coagulopathy. The HCCC (Houston Clinical Coordinating Center) will be led by John Holcomb, M.D. His group will be responsible for the overall clinical coordination for this study. Dr. Barbara Tilley will lead the HDCC (Houston Data Coordinating Center). Dr. Tilley and her group will be responsible for the data coordination, maintenance, and analysis for this study. A Phase II, randomized, double-blinded, placebo-controlled clinical trial to assess the effect of autologous bone marrow mononuclear cells delivered at Day 3 vs. Day 7 post-myocardial infarction on measures of left ventricular function. 120 patients were enrolled at the 5 CCTRN sites and their satellites from July 2008-November 2011. Results were presented at AHA Scientific Sessions in November 2012 and simultaneously published in JAMA. Sponsored by National Heart, Lung, and Blood Institute (NHLBI) as part of the initial CCTRN funding period (2007-2012). A Phase II, randomized, double-blinded, placebo-controlled clinical trial to assess the effect of autologous bone marrow mononuclear cells delivered 2-3 weeks post-myocardial infarction on measures of left ventricular function. 87 patients were enrolled at the 5 CCTRN sites and their satellites from July 2008-February 2011. Results were presented at AHA Scientific Sessions in November 2011 and simultaneously published in JAMA. Sponsored by National Heart, Lung, and Blood Institute (NHLBI) as part of the initial CCTRN funding period (2007-2012). A Phase II, randomized, double-blinded, placebo-controlled clinical trial to assess the effect of autologous bone marrow mononuclear cells delivered transendocardially to patients with coronary artery disease, left ventricular dysfunction, and limiting heart failure and/or angina. 87 patients were enrolled at the 5 CCTRN sites from March 2009-April 2011. Results were presented at ACC Annual Meeting in March 2012 and simultaneously published in JAMA. Sponsored by National Heart, Lung, and Blood Institute (NHLBI) as part of the initial CCTRN funding period (2007-2012). A Phase II, randomized, double-blinded, placebo-controlled clinical trial to assess the effect of bone marrow-derived ALDHbr cells delivered to patients with peripheral artery disease. 82 patients were enrolled at the 7 CCTRN sites and their satellites from June 2013-Dec 2015. Results were presented at AHA Scientific Sessions in November 2016 and published in Circulation in April 2017. Sponsored by National Heart, Lung, and Blood Institute (NHLBI) as part of the second CCTRN funding period (2012-2019). Active follow-up of ALLHAT participants ended on March 31, 2002 (February 15, 2000 for doxazosin participants), for an average follow-up of 4.9 years (3.2 years for doxazosin). To answer additional scientific questions, a post-trial follow-up of participants through 2006 is planned to obtain data on post-trial morbidity and mortality. The extended follow-up will be carried out passively using national databases available through the National Death Index (NDI), Social Security Administration (SSA), Centers for Medicare and Medicaid Services (CMS), Department of Veterans Affairs (DVA), and United States Renal Data System (USRDS). When completed, endpoint data will be available for between 9 and 10 years of total follow-up. The overall research objective of this extended follow-up is to compare long-term effects of antihypertensive treatment with a thiazide-type diuretic, a CCB, an ACE-inhibitor, or an a-receptor blocker when each drug is used as initial treatment with step-up drugs added as needed and, for the lipid component, to assess long-term effects of pravastatin compared with usual care. To meet these objectives, we will evaluate whether new differences emerge for outcomes that were not statistically different, especially CVD and total mortality, and whether the differences observed during the trial continue. The ALLHAT extension protocol was developed by the CTC and the NHLBI Project Office and approved by the ALLHAT Steering Committee. An antihypertensive component, to determine whether newer antihypertensive agents, such as ACE inhibitors, calcium blockers, and alpha blockers, reduce incidence of coronary heart disease (CHD) in high-risk hypertensives when compared to diuretics. A lipid-lowering component, to determine whether reduction of serum cholesterol with pravastatin, an HMG-CoA reductase inhibitor, reduces total mortality in moderately hypercholesterolemic older hypertensives. A total of 42,418 patients were enrolled between February 23, 1994 and January 31, 1998. A vanguard phase was conducted in the first half of 1994; the full-scale trial began in the fall of 1994 and continued for eight years, until March 31, 2002. The last participant visit was March 31, 2002. The results of the trial were released December 17, 2002. ALLHAT continues to analyze data for presentations and publications on secondary outcomes, outcomes in subgroups, and other topics for both the antihypertensive component and the lipid-lowering component of the trial. There is also an ongoing Dissemination effort to reach physicians, patients, and formulary benefits managers with the core messages of ALLHAT and the Seventh Report of the Joint National Committee on the Prevention, Detection, Evaluation, and Treatment of High Blood Pressure (JNC 7). Sponsored by the National Heart, Lung and Blood Institute (NHLBI); 1993-2008 ($101,198,107). A prospective study that examines the association between selected hypertensive genes and coronary heart diseases modified by the type of antihypertensive treatment. GENHAT is an ancillary study of ALLHAT. Sponsored by the National Heart, Lung and Blood Institute (NHLBI); 1999-2004 ($1,474,101). ETROP is a multicenter study in 26 centers with a natural history study that is determining the incidence of retinopathy of prematurity and a randomized clinical trial that is determining the safety and efficacy of early treatment of retinopathy of prematurity in 400 premature infants. 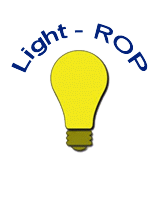 A randomized, multicenter clinical trial in three centers that determined the efficacy of reduced ambient-light exposure to reduce the incidence of retinopathy of prematurity in 409 premature infants. A randomized multicenter study in 23 centers enrolling 4,099 infants in a natural history study with a randomized clinical trial that determined the safety and efficacy of cryotherapy of the retina in the treatment of retinopathy of prematurity in 291 premature infants. A randomized, multicenter clinical trial in 16 centers which tested the effectiveness of antihypertensive treatment in reducing the combined incidence of fatal and nonfatal stroke in 4,736 elderly patients with isolated systolic hypertension. A randomized, placebo-controlled, multicenter clinical trial in 40 centers that tested the effectiveness of captopril in reducing total mortality and/or ventricular enlargement in 2,231 post-myocardial infarction patients. A randomized, placebo-controlled, multicenter clinical trial in 80 centers that tested the effectiveness of pravastatin in reducing cardiovascular events in 4,159 post-myocardial infarction patients. A randomized, double-blind, multicenter clinical trial designed to test the effectiveness of propranolol in reducing mortality in 3,837 post-myocardial infarction patients in 31 centers. A clinical trial in 14 centers which investigated the differences in mortality and selected morbidity between 10,940 patients randomly allocated to either an intensive hypertension control program or referral back to the regular medical care system. A three-center study of the effectiveness of dietary and pharmacological measures in treating 878 mild hypertensive patients.